Patrick Bishop looks at the lives and the extraordinary risks that the painfully young pilots of Bomber Command took during the air-offensive against Germany from 1940-1945. As featured on the BBC 1 documentary BOMBER BOYS, presented by Ewan McGregor. They came from every corner of Britain and its Empire. They were the best of their generation...heading for one of the worst tasks of WWII. Like RAF pilots, the thousands of brave young men who joined Bomber Command took to the air to help Britain triumph in World War Two. But in the glow of victory, the fighter pilots were lauded for their efforts while the Bomber Boys faded in national memory. Crucial in the heat of combat, they were politically awkward afterwards. Yet with an average life expectancy shorter than that of soldiers on the Western front in WWI, these men faced death, injury and capture time and again to send bombs through the shrieking flak onto enemy territory. 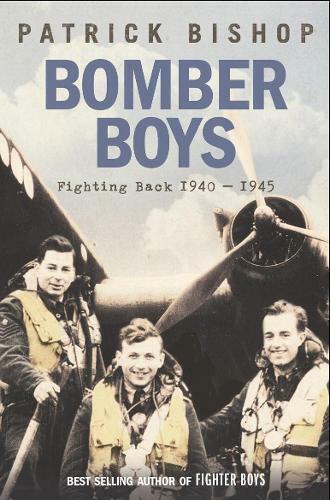 `Bomber Boys' is a tribute to their strength, courage and heroism - filling in the historical blanks and immortalising their memory.